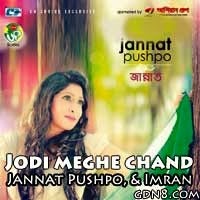 Jodi Meghe Chad Lyrics From Bangla Album Jannat 2015. This Song Sung By Imran And Jannat. Music Composed By Imran. Lyrics Omor Fauque.